You must understand and agree that any service provided is provided “as is” and “as available”. BalloonClick.Com makes no warranties of any kind regarding any service provided. BalloonClick.Com makes no claim that any service provided will meet your requirements, will be uninterrupted, timely, secure, or error-free. No information obtained from a third party is endorsed by BalloonClick.Com and remains the responsibility of the third party providing the information. The provider gives no warranty, expressed or implied, for the services provided, including, without limitation, warranty of merchantability and warranty of fitness for a particular purpose. this no warranty expressly includes any reimbursement for losses of income due to disruption of service by the provider or its providers beyond the fees paid by client to provider for services. we make every effort to backup our data, but we are not responsible for any loss of data. In no event shall BalloonClick.Com be liable for any loss, or loss of data, or other commercial damage, including but not limited to special, incidental, consequential or other damages. Customer agrees that it shall defend, indemnify, save and hold BalloonClick.Com harmless from any and all demands, liabilities, losses, costs and claims, including reasonable attorney’s fees asserted against BalloonClick.Com, its agents, its customers, officers and employees, that may arise or result from any service provided or performed or agreed to be performed or any product sold by customer, it’s agents, employees or assigns. BalloonClick.Com is not responsible for any comments on our network . BalloonClick.Com will be the deciding factor in what is allowed and not allowed. BalloonClick.Com’s failure to insist upon or enforce strict performance of any provision of these Terms of Service shall not be construed as a waiver of any provision or right. If your comment is found to be in violation of these terms, your comment will be permanently removed, and any applicable legal actions shall also be taken if needed. BalloonClick.Com. unconditionally reserves the right to remove or suspend access to your comments without notice or explanation. Failure to abide by any local, state, or federal laws regarding your forum (s) will result in permanent removal and refusal of service. BalloonClick.Com will not be held responsible for any content and/or damages caused by such material commented on our network. By signing up to our services you are subscribed to receive service announcements that relate to your agreement with BalloonClick.Com. In the event it is necessary to refer any dispute to an attorney or resolve it in a court of law, the prevailing party will be entitled to an award of reasonable attorney’s fees and all costs associated with any legal action, whether or not a suit shall actually be filed. These terms of service shall be governed by and construed in accordance with the laws of the respective states of the owners and the United States of America. 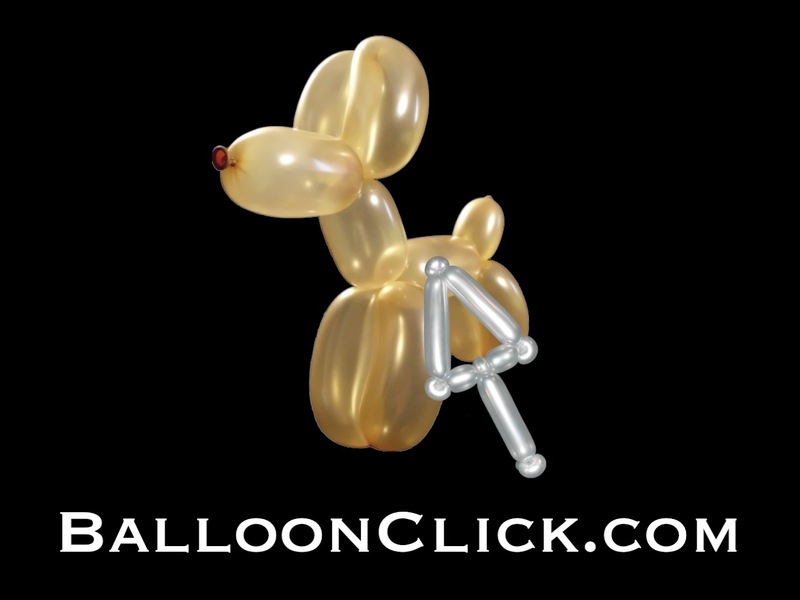 The entire contents of this site are property of BalloonClick.Com, including but not limited to: text, graphics, logos, buttons, icons, audio clips, and any other data form. You may not reproduce, modify, copy, republish, or transmit/distribute, any portion of the website.BalloonClick.Com will enforce its intellectual property rights to the fullest extent of the law. Modellare palloncini è una mia grande passione,il motivo per cui mi sono iscritta a una scuola di prestigiatori . Però purtroppo insegnano solo le forme più semplici mentre torsioni e altro ho dovuto studiarle da sola ma senza un tutor è davvero difficile imparare. Sono contenta di far parte del vostro gruppo e non diffonderò ad altri le vostre tecniche e suggerimenti.